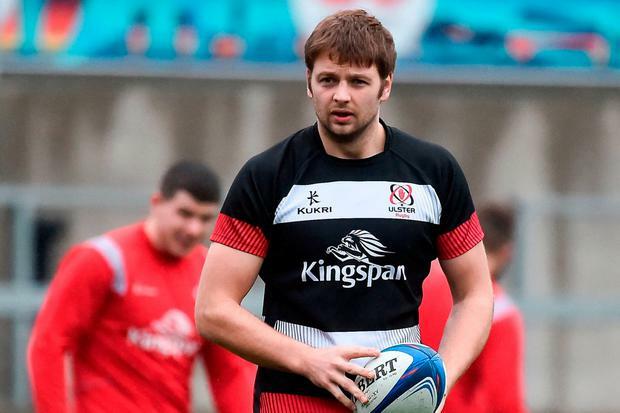 Ulster are sweating over the fitness of Iain Henderson ahead of next week's Champions Cup quarter-final against Leinster. The lock suffered a knee injury in Ireland's win over France two weeks ago and is yet to return to full training. Henderson will be given every chance to prove his fitness in time for the showdown at the Aviva Stadium but, as of now, he remains a doubt. The 27-year-old has already faced a couple of spells out this season with two separate finger issues, but he made his comeback in time to help his side secure a place in the last eight for the first time in five years. In a further blow to Ulster's hopes of causing an upset and advancing to the semi-final, Will Addison and Craig Gilroy are both set to miss the Leinster game. "We are hoping Iain is going to be right for the quarter-final next week," Ulster's scrum coach Aaron Dundon said. "At the moment, we don't have a definite answer for that, it's day-by-day for him and we will see next week." Addison has endured a frustrating time with injury of late as he picked up a back problem in Ireland training, which subsequently cost him any chance of making his Six Nations debut. Gilroy, meanwhile, is also struggling with a back injury that has kept him out of action since October.